Sold my MR2 AW11 about a year ago, and still have parts for sale. Delivery on all of these items is set to about $50 each. 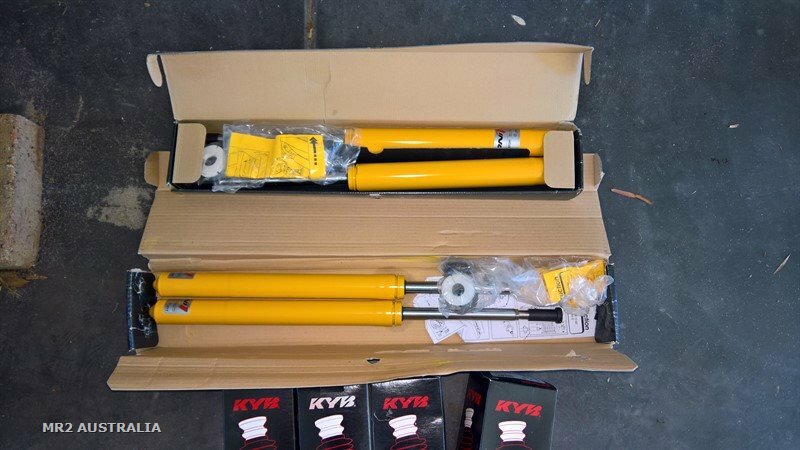 Koni Shocks Yellow Sports (Adjustable) for MR2 1987-88 Model - $900. I originally paid abotu $1400 delivered, so ideally looking for $900 (Firmish). 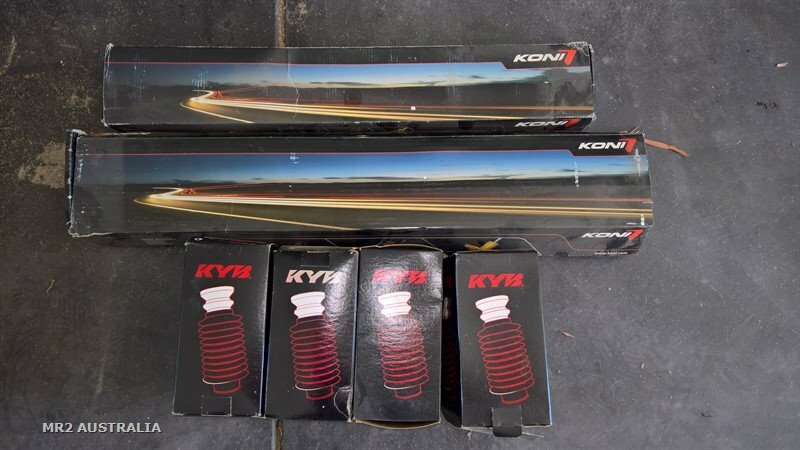 They have never been installed and come with a new set of KYB Shock covers, all new in the box. Welcome to inspect prior to purchase if you wish. Rear Supercharged AW11 Light assembly + new Seals - $149. I purchased these a long while ago, also with intention of installing them on my AW11, however, never got the chance to get around to it. I purchased them for abotu $249 + about $50 for the new seal set, so at $149, that is a good price. However, please note that the right light assembly has some damage to the plastic (Pictured below), which can be easily fixed by a plastic specialist. Also, picture below is of package that will be sent. K&N Apollo Filter - $175. I purchased this a while ago for the MR2, but ended up never installing it. When I purchased this, it was about $260, so this really is a bargain purchase. Picture of unit below. As indicated, itwas never installed. I purchase these originally when I performed a 20v Engine conversion. I installed these, however, I did not feel comfortable using these mounts, and have removed them. Hence, these are also up for sale. New, these retail for about US$85+ Freight + original Mounts. Happy for you to come and inspect the items. Happy to accept Paypal or Cash on pickup. However, please do not try to negotiate on price too much, as I have considerably reduced them already, which I think are fair prices. 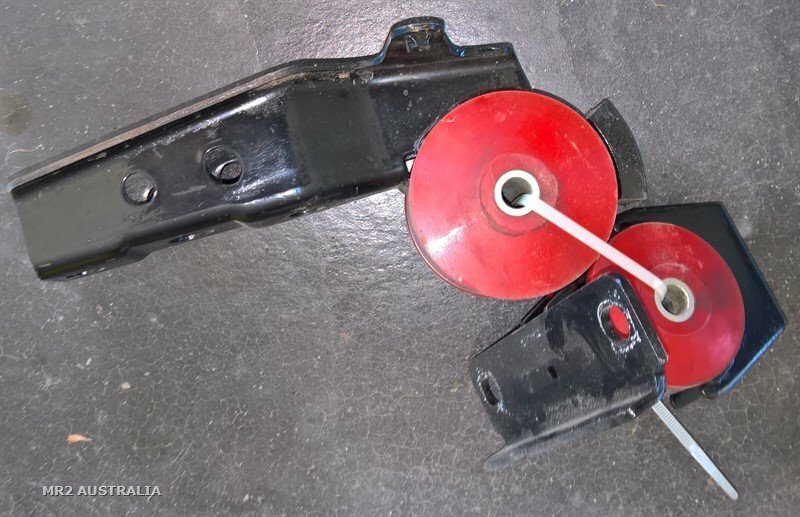 Engine Mounts have been sold. Still up for sale... All reasonable offers are considered... Oh! and Bump. Do you have an estimate on the cost of freighting the dampers and boots to postcode 5154 in SA?